Everyone eagerly waits for holidays to enjoy with families or friends to get relax from work tension. When you want to go for a trip which is the best stress buster means, you have to visit India. In India, there are so many spa resorts to get out of your tensions and feel relaxed. The surroundings of Spa resorts in India are Eco-friendly with greenery and pleasant weather. The organizing of resorts is well-maintained with cleanliness and luxurious to spend holidays. 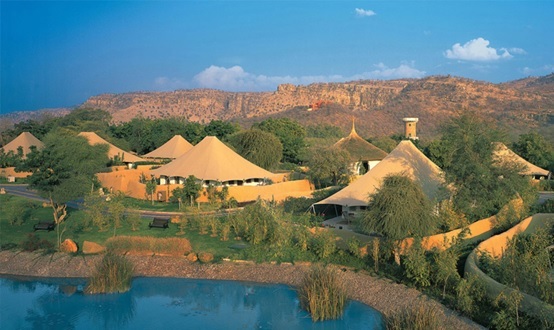 Let us know about the Oberoi Vanyavilas resorts located in Rajasthan India. The Oberoi Vanyavilas is one of the famous spa resorts in a forest. It was located in the borders of Ranthambore Tiger Reserve. The Oberoi Vanyavilas is totally surrounded by 20 acres of greenery forest and landscapes. The experience of staying in Oberoi Vanyavilas is the best example to view the wildlife of Ranthambhore. The Oberoi Spa is designed to the point of Rajasthani haveli which is direct to sunlight. Spa Treatment in Oberoi Vanyavilas is special for Ayurvedic treatment. Rooms in Oberoi Vanyavilas are maintained with a flat screen TV, DVD player, and en-suite bathroom. Oberoi Vanyavilas is the place for the best restaurants, spa, Outdoor pool, and a fitness centre. Free WiFi is available in all places. Tourist can enjoy Yoga sessions and relaxation massage in the spa. Restaurants in Oberoi Vanyavilas are special for Continental, Vegetarian, Western, and Thai. Food in Vanyavilas is so tasty and delicious. Vanyavilas is the place for recreation games like Billiards etc. The facilities that are provided by Vanyavilas are Swimming pool, Outdoor pool, and Massage etc. You can enjoy for some time in swimming pool and an outdoor pool is heated in winter. Different massage packages are available but additional charges are applied. 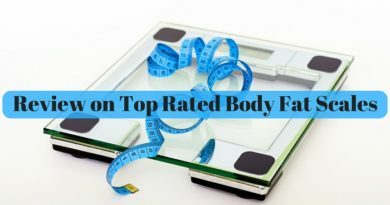 For fitness of our body best Fitness center is available here. The services available in the Oberoi Vanyavilas are luggage storage, tour desk, and ticket service etc. Tour desk and 24-hour front desk will be available here for information. Ticket services are available to different nearby spots. Currency exchange is available in local currency. Cards accepted here are American Express, Visa, and Master card. Spoken languages here are Hindi and English. Here only one type of room available per 2 members with a 1 extra-large double bed. Nearby places to be visited are Ranthambore National Park and mountain. You can reach here from Jogi Mahal 11kms away and Ranthambore Fort 12kms away. Jaipur and Sanghaner Airport 180 kms away from the resort. The Oberoi Vanyavilas is the best place to relax in wildlife of Ranthambore. Spa treatment in Oberoi Vanyavilas is special when compared to others. So it will be the best tourist spot for a refreshing vacation. Address to reach Oberoi Vanyavilas is Ranthambhore Road, Sawai Madhopur, India. The nearest airport is Jaipur 160 km away. The train of the park is in Sawai Madhopur to 11km of the Park and arrive several trains. A network of buses connects Sawai Madhopur, the nearest city, to all major cities within the state of Rajasthan. However, the frequency of direct services is not very large. A car or taxi should be hired from Kota to Ranthambore (1.5 hours) or from Jaipur to 3 hours approx. ← What is the Importance and The Uses of Infographics?